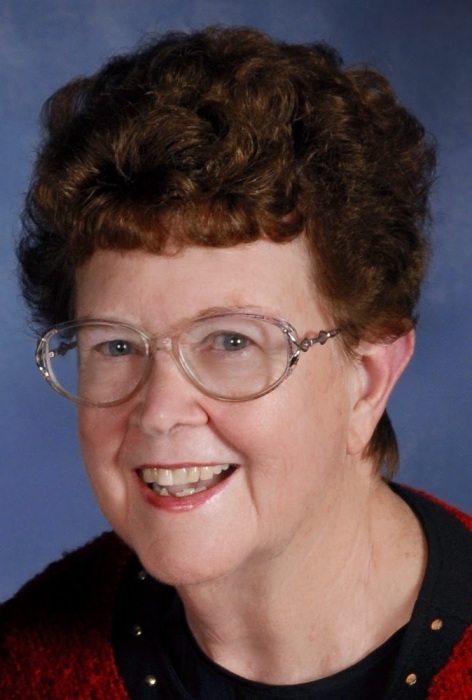 Florence Marie Kivett, age 82, of Spencer, passed away peacefully on Saturday, April 6, 2019, at IU Health Bloomington Hospital. She was born in Boone County on May 16, 1936, the daughter of Augustus "Gus" & Elsie (Miller) Strawmyer. She was a 1954 graduate of Eminence High School. She was a homemaker, and once her children went to college she began working for DeFord Insurance Services in Spencer. Marie worked there many years and eventually went to work in the trust department for Owen County State Bank until her retirement in 1998. She is a member of Spencer First Christian Church, and is a past Worthy Matron of the Eminence Chapter of Eastern Star. Marie loved her church life, cooking for her family, gardening, and travel. Her greatest joy was spending time with her family, especially her grandchildren. She is survived by her husband, Donald Kivett of Spencer, whom she married June 1954, a daughter, Sandra Kivett of Naples, Florida, a son, William "Bill" Kivett of Spencer, two grandchildren, Matthew (Michelle) Scott Kivett and Michaela Rose Kivett, four great-grandchildren, Troy, Reilly, Alba, and Koen, and a sister, Betty Stanifer of Jasonville. She was preceded in death by her parents, her brother, Cleo, and her sisters, Gladys, Anne, and Loretta. Funeral service will be held at West & Parrish & Pedigo Funeral Home in Spencer at 11 A.M. on Thursday, April 11, 2019, with Dr. Allan Lewis officiating. A private family burial will follow at Stilesville Cemetery. Visitation will be held at the funeral home on Wednesday from 5 to 8 P.M., and Thursday from 10 A.M. until the time of service. Memorial contributions may be made to Spencer First Christian Church through the funeral home. Online condolences may be shared with Marie's family at www.westparrishpedigo.com.